Got new photos.Cool expansion going on. Busy! 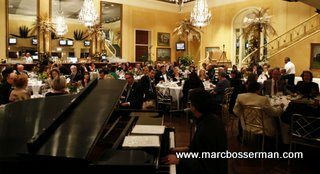 Just got these great photos from a recent event that I played at. I really like them. Great venue.A good time was had by all. 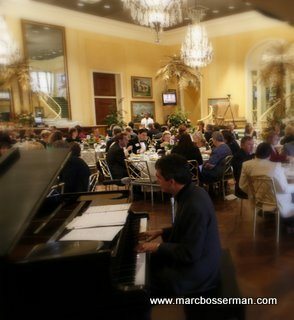 In addition to playing for diner and the fundraising I did a special performance of 3 inspirational songs. I played several of my originals. I’ve noticed that Vitello’s in Studio City where I play on Fridays has been really upbeat and exciting the last couple or times that I played there. Last Friday a some good friends came in that I hadn’t seen in a while and on top of that there were two really large parties that stayed almost all night. The table in front of me started singing and on Brown Eyed Girl I think it caught on in the whole room and the whole place just had a great time from there. Then a guy walked over and sang “House of the Rising Sun” which just added to it. There was a woman who came and sang “Blue Moon”. Her name was Bethany Garrett.Totally impromptu but she had a beautiful voice and the whole room loved it. Blue Moon happens to be one of the first standards that I ever learned. I’ve been putting some time in studying internet marketing to be able to reach more people. I added the program that puts icons on the sidebar of this site where you can check me out on Twitter and Facebook and lots of other sites too. Check out my calendar page for the details. There are clubs and restaurants and parties there is once again a Cheetah Fundraiser! I did one of those a few years ago with my good friend Willy Ma at his beautiful home. I’ve got several weddings lined up in the very near future. Wedding are so wonderful. Such an exciting event always personalized and beautiful. I think on one I’ll end up doing a bunch of guitar songs too.